Attendance and participation in class is the key to achievement of success. Teachers strive to ensure that every moment within the teaching day contains a learning experience. 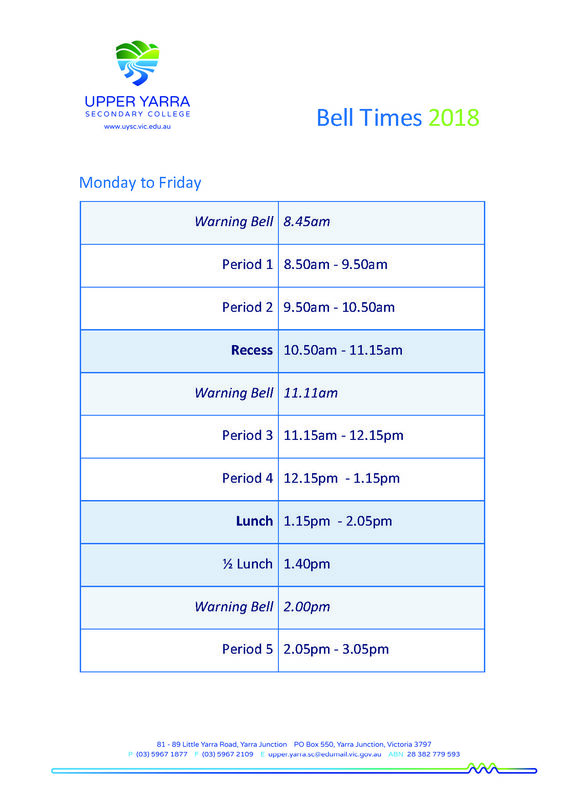 Teachers mark student attendance on an electronic roll, every period of the day. All absences need to be accounted for. An automatic SMS message is sent to the designated parent mobile should a student be absent from school without notification. If a student is absent for any reason, the school must be notified. 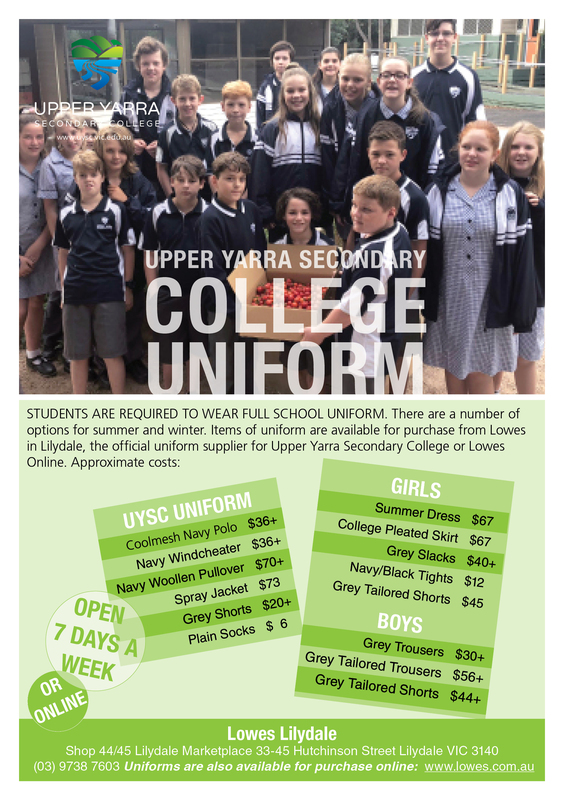 All students attending Upper Yarra Secondary College are required to wear school uniform. There are a number of uniform options for winter and summer. There is no official sports uniform, however, students are expected to bring a full change of clothes: runners, T-shirt, shorts. Black leather school shoes are preferred but all black runners are also acceptable. Please contact our Finance Office with any queries regarding finance or payments on 5967 1877. The Victorian Government has unveiled a new initiative to ensure all Victorian students can take part in school trips and sporting activities. 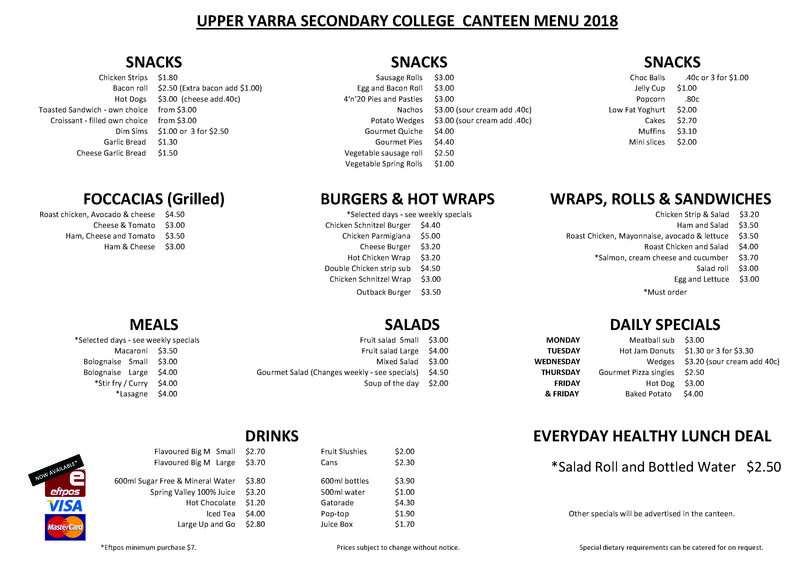 The Camps, Sports and Excursions Fund (CSEF) will run over four years and provide payments for eligible students to attend camps, sports and excursions. Families holding a valid means-tested concession card or temporary foster parents are eligible to apply. Please see the below links for relevant information and application form.